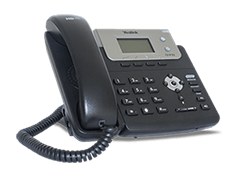 When you are in the market for a VoIP business phone, features and options matter. But it can be tough to choose which service is best for you when VoIP offers such a rich set of amenities. To help you make a smart buying decision on the best VoIP phone service, we’ve compiled six top points that you should consider. (Hint: Price is only one of the things to consider). Business forecasting is complicated enough without having to predict how many phone lines you will need thirteen months from now. Will your new VoIP service lock you into a contract? 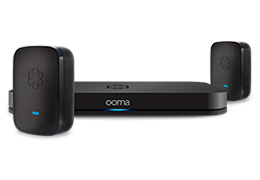 Ooma Office business phone service has no contracts, so it’s easy to stop your service when you no longer need it. And if you take on more employees or seasonal help, simply add the lines when you need them and cancel them when you don’t. The benefit of not having service contracts is that you’re free to change your service at any time, without locking yourself into lengthy plans or user tiers. Your phone should accommodate your business operations; not the other way around. You shouldn’t have to hire an IT pro to install your phone service. So if you’re looking at a low-cost system that’s complicated to install, keep in mind that you may not end up saving much after the time and labor cost to implement and manage it. It’s a plug-and-play process with intuitive setup. Plus the Ooma Linx lets you place a phone in the best location, even if you don’t have a telephone jack or ethernet port nearby. It’s so easy that only 7% of customers report needing tech support, but we’re nevertheless here to answer your questions 24/7. When you’re choosing a VoIP service, look for products that give you the feature-rich benefits of a networked landline while also offering the mobility of a cell phone. Using the Ooma Office mobile app, you’ll have the same access to your phone system whether you’re at your desk or on the road. The app creates a two-phones-in-one experience, so that all employees can stay connected to their work phone while also keeping their personal cell numbers separate from their work line. Not all VoIP services offer 911 services. But Ooma Office goes above and beyond with 911 service. When calling 911 from your office phone or through the Ooma Office app, you will be automatically routed to your local emergency dispatcher and your office’s physical location is digitally transmitted to the dispatcher. Whether your business is in a 3rd floor office suite or a retail storefront, it’s important that you’re getting the fastest help possible for employees and customers. We all know how important price is when choosing the best phone service for your business. In fact, the affordable rates of VoIP are one of the biggest initial reasons that businesses consider switching to VoIP. We’re pleased to report that our Ooma Office customers save an average of $6,185 on phone service in the three years after switching. Included with Ooma Office is unlimited calling in the U.S. and Canada. Plus, if you do business internationally, our global calling rates are just pennies per minute, and those rates apply whether you’re using your desk phone or the mobile app. Wouldn’t it be nice if your phone service made office operations a little bit easier? The features of Ooma Office give you the tools to make it effortless to conduct business as usual. For example, you can have your audio files of your voicemail messages delivered to your email, send or receive a virtual fax, or get a group of the people in the conversation with a conference bridge. Additionally, the Virtual Receptionist greets and directs callers, and the extension dialing makes it easy for both interoffice communications and directing outside calls. And to keep your office running smoothly when you switch to Ooma Office, we let you transfer your phone number for free. For an overview of the included features, watch our Ooma Office features video to learn about the ways that our VoIP service can help your business. Have questions about VoIP business phone service or about Ooma Office? Call or chat with a salesperson by visiting the Ooma Office website.